No. 1 tee, No. 9 green, and No. 10 tee. View the final hole from a private climate-controlled interior, or out in covered, open-air stadium style seating in the Victory Suites, featuring all-inclusive food and beverage. 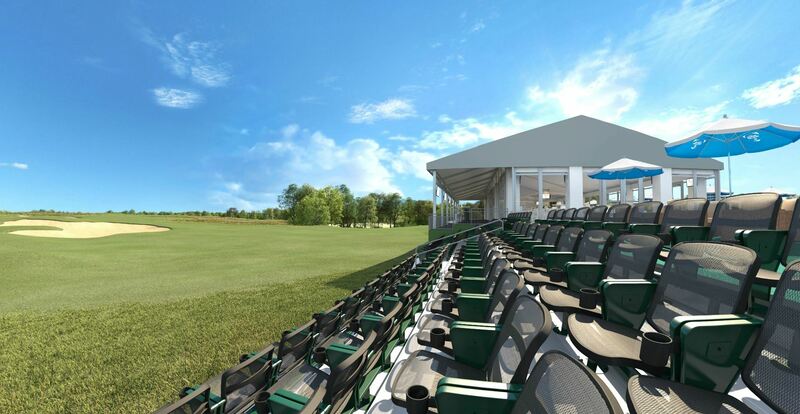 Witness PGA TOUR pros attack this risk-reward par 5 to start their closing stretch from private, open-air, stadium-style seating and a private climate-controlled interior featuring an all-inclusive premium buffet and bar. Additional views include No. 12 green, No. 13 tee, and No. 16 fairway. Located at the 17th Green / 18th Tee, Crenshaw Village features a private, stadium-style seating area for up to 40 guests, with access to a shared, climate-controlled lounge area with a complimentary premium buffet and full bar. Overlooking the No. 15 green and No. 16 tee, the Skyline Suites offer some of the best views at Trinity Forest. 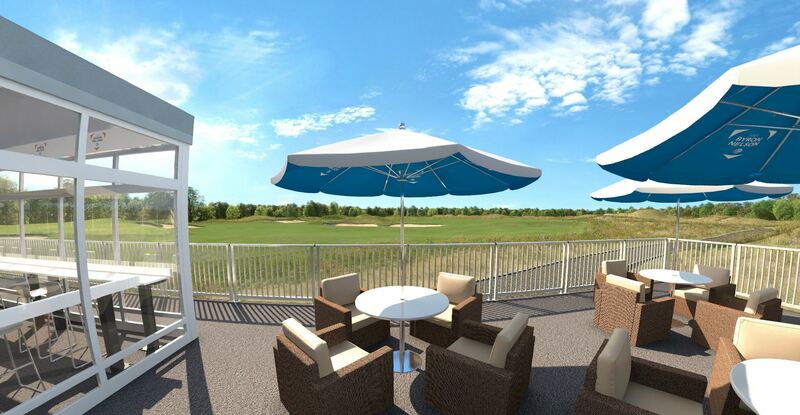 Entertain guests inside the climate-controlled suite, or enjoy the action on the course from your patio deck. With primary views of No. 15 green and No. 16 tee, lay back in your private, open-air Cabana while enjoying complimentary light fare, snacks and beverages. Enjoy panoramic views in this one-of-a-kind venue with a complimentary buffet and open bar with access to covered, open-air stadium style seating. Club 360 is located between the No. 6, 12, and 16 greens, with additional views of No. 6 and 16 fairways. With views of No.5 green, No. 6 tee and No. 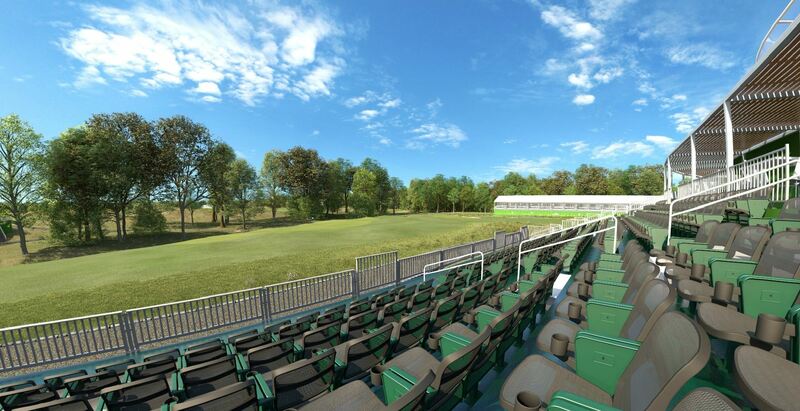 15 green, this upgraded ticket grants access into a shared, climate-controlled venue, with additional stadium-style seating and patio umbrella seating outside. Complimentary ballpark-style buffet, beer, wine and soft drinks. The Harwood District Club provides a climate-controlled interior with concessions for purchase and an elevated outdoor patio that splits the No. 3 green and par-3 12th hole. Take your viewing experience up a notch. The AT&T Byron Nelson boasts a variety of hospitality opportunities. The AT&T Byron Nelson offers both private and shared hospitality options. For more information email sales@salesmanshipclub.org.